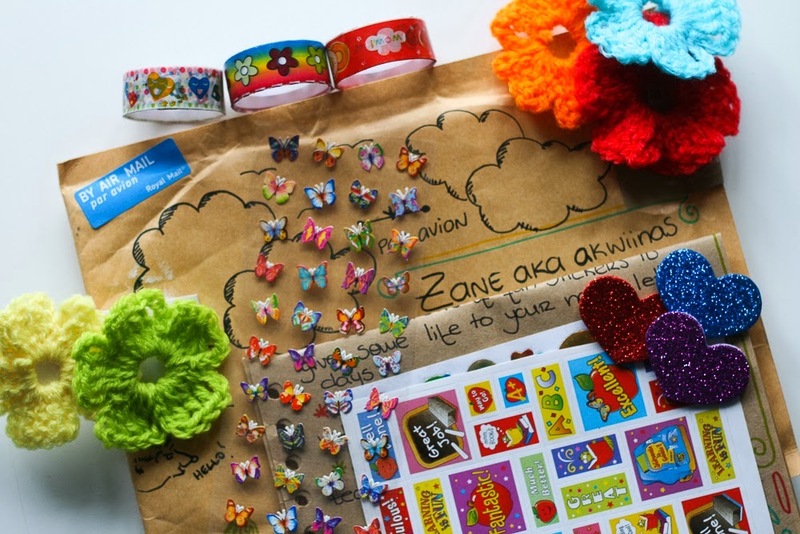 This is the lovely package Zane (Latvia) received from Liliana (UK) and what she thought. Last weekend I got a package with UK stamp, it was sent by Liliana. However, I was sure - my partner this month is from Portugal and will send me a piece of sun. 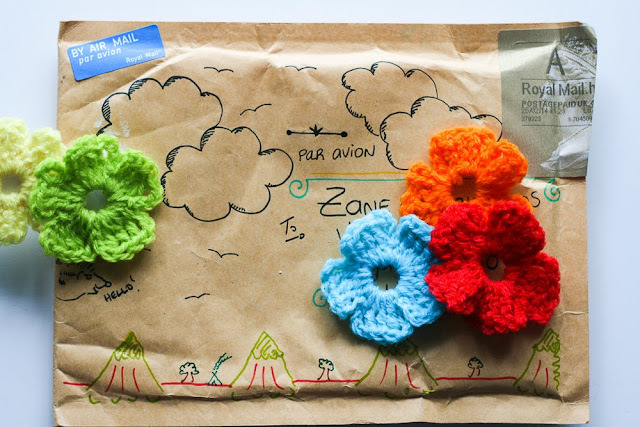 She sent me a sunshine but only from West Yorkshire! Anyway it was nice enough to make me smile! La semana pasado recibí un paquete con un sello del Reino Unido, me lo enviaba Liliana. Y como mi compañera este mes es de Portugal, estaba segura de que me enviaría un pedacito de Sol. Y así fue... pero un pedacito de Sol de West Yorkshire!!! De cualquier manera... fue suficiente para hacerme sonreir! A beautiful envelope with a huge Royal Mail stamp. Un precioso sobre con el sello de Royal Mail (Correo Real). 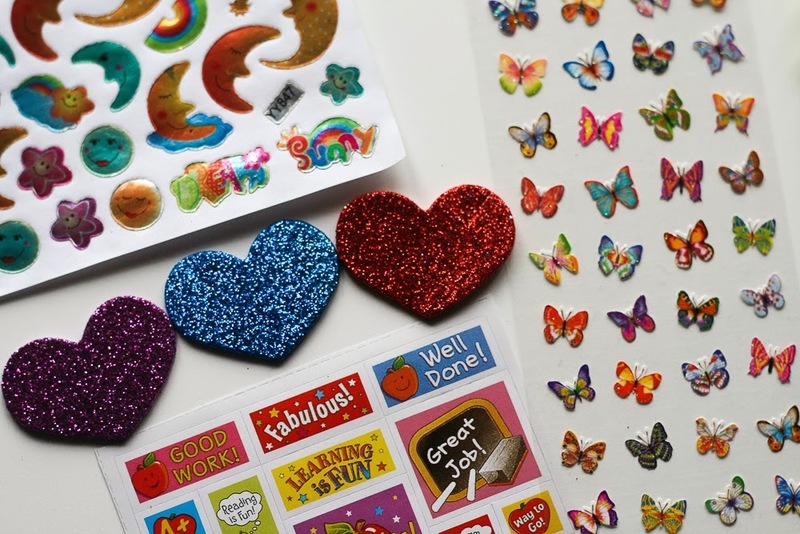 Glittery heart stickers, butterflies and lovely tapes for my craft projects. Pegatinas de corazones con purpurina, mariposas y preciosas cintas adhesivas para mis projectos de craft. Ha sido genial recibir un paquete así. Gracias Liliana!!! 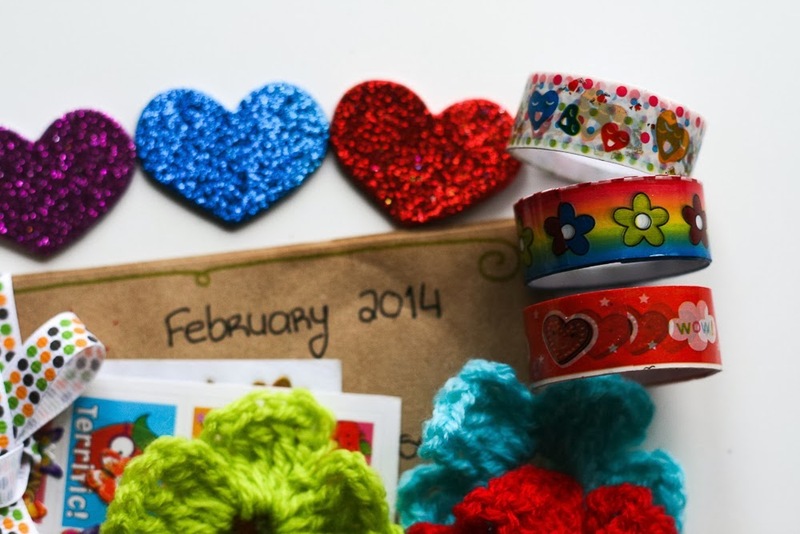 Have a look to the lovely post Zane Sproge has written at her blog. 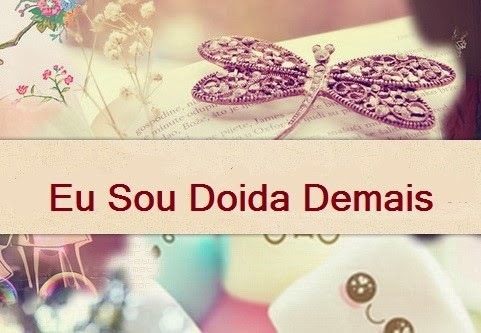 Echad un vistazo al post tan bonito que ha escrito Zane Sproge en su blog.